It has been far to long since my last post. I had more computer issues recently, now resolved. I returned back to California from my trip to Minnesota about a week and a half ago. I'm currently going through several thousand photos I shot on the trip. Sunsets in northern Minnesota are beautiful. 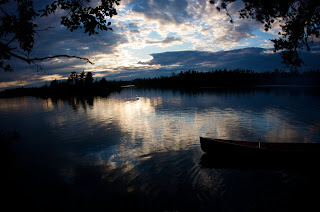 Photography in the Boundary waters.